With rising costs for many, it’s expensive to have a family. However, thanks to new federal government changes to the Canada Child Benefit (CCB) more people are able to get access to it. Well, in truth they should’ve had access to it in the first place; when the CCB went out, some families were missed. Let’s break down what went wrong, how to get the most from the benefit, and what this means for families. “The Canada child benefit (CCB) is a tax-free monthly payment made to eligible families to help them with the cost of raising children under 18 years of age. The CCB might include the child disability benefit and any related provincial and territorial programs. The CRA uses information from your income tax and benefit return to calculate how much your CCB payments will be. To get the CCB, you have to file your return every year, even if you did not have income in the year. If you have a spouse or common-law partner, they also have to file a return every year. As you can see, this can be a hugely important benefit to families as it’s essentially free money for those with kids. This benefit is especially helpful for those who are in the low-mid income families. However, it’s only helpful to them if the benefit is actually delivered to them. This is the barrier the government is quickly trying to remedy for those living in the more remote locations of Canada, particularly Indigenous Peoples. In fact they plan on spending $17.3 million to ensure that these Indigenous families are receiving the according amount they are due. An additional problem for some families are the changes to the benefit itself. Now, the benefit relies on net “family” income as declared on the tax return. This can be an issue for single parent families who have had multiple common-law relationships. If you have a larger family of two to four kids or more with a lower family income you stand to benefit the most from the CCB. The maximum benefits for children are $6,496 ($541.33 per month) for children under six or $5,481 ($456.75 per month) for children between six and seventeen. If you have three children under the age of six, for example, you could qualify for a tax-free monthly benefit of just under $1,624 dollars, or $19,488 annually. That’s huge for a lot of families and could go a long way to providing financial support for school activities or field trips. Note that if a child in the family is disabled, the Child Disability Benefit of $2,771 (in 2018) is also paid, in addition to the Canada Child Benefit amount. The amount is reduced if family net income exceeds $65,975. The reduction rate is 3.2 percent for families with one child and 5.7 percent for families with two or more eligible children. 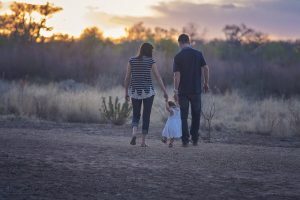 For those with a family income on the higher end is to file an accurate tax return and use some of the funds to make an RRSP contribution, which can help to reduce that net income below $30,450 or $65,975, and increase the benefits. For those who are eligible and haven’t claimed this benefit, it’s something you should do as soon as possible. Again, these are tax-free funds (that you don’t have to claim on your taxes) that you can use to help your children live their best lives. Check out the links and sources below for a more detailed breakdown of the specifics of the CCB.